The top Democratic leaders in the Illinois Legislature say they will not attend a postelection meeting that Gov. 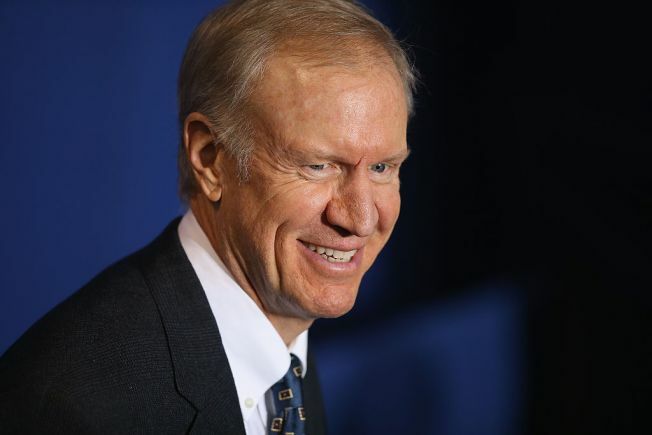 Bruce Rauner called for Monday to discuss ending an epic budget standoff. Democratic House Speaker Michael Madigan's spokesman issued a statement Sunday afternoon saying a scheduling conflict would prevent Madigan from meeting with the Republican governor and legislative leaders from both parties. Democratic Senate President John Cullerton said later Sunday that he, too, would not attend. He said it would not be productive to meet without "a full complement" and that the meeting should be rescheduled. Cullerton spokesman John Patterson had earlier said that the senate president would attend the meeting. Illinois hasn't had a budget in more than 16 months. That's resulted in harmful spending cuts, including to social-service providers. On Monday afternoon, Madigan reportedly agreed to a meeting with Rauner and the state's top legislative leaders, the Chicago Sun-Times reports. He is now set to meet with Rauner, Cullerton, House Republican Leader Jim Durkin and Senate Republican Leader Christine Radogno at 10:30 a.m. Tuesday.